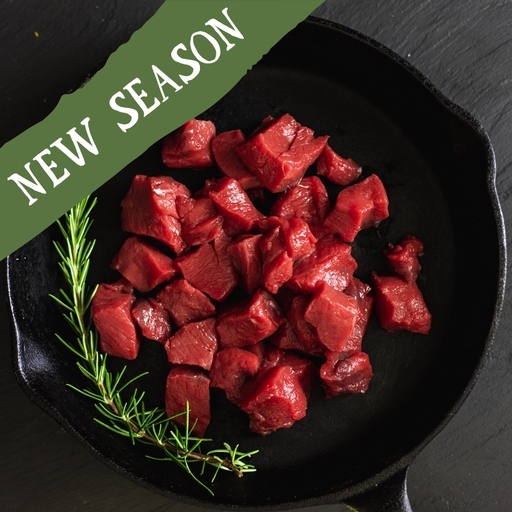 Chunky diced venison, reared free range on organic West Country farms and prepared in the Riverford butchery. This fabulous dark, lean meat is just right for autumnal pies and stews. Throw in a pan along with seasonal veg and a splosh of red wine. Seasonal comfort food. Season, brown in oil, and braise with veg in beer or wine and stock for a quick-cook stew, or use in a venison chilli or curry. It takes about 45 mins or so to cook. Alternatively, use skewered with veg and chargrilled as kebabs.